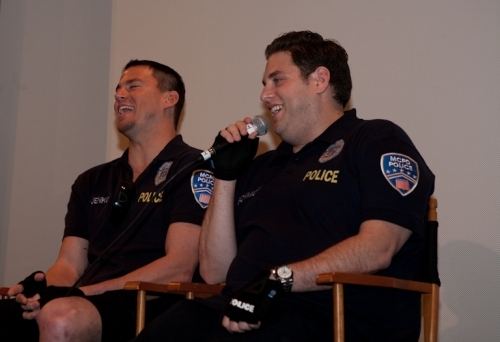 When we first heard about 21 Jump Street premiering at SXSW, we thought: Really? How could a remake of an 80’s cop show, where heartthrob Johnny Depp got one of his first starring roles, be a good idea for a feature film? 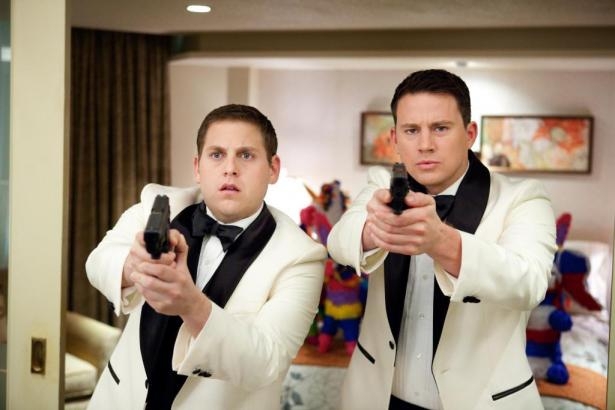 21 Jump Street really shouldn’t work but it does—in a very surprising way. It’s “Bad Boys” meets a John Hughes movie, as star Jonah Hill describes it, and it’s filled with plenty of laughs and bromance. 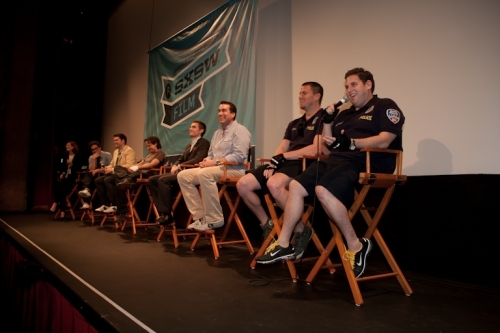 (L-R): Directors Phil Lord and Chris Miller; writer Michael Bacall; co-stars Dave Franco, Rob Riggle, Channing Tatum, and Jonah Hill. Hill plays unathletic bullied nerd Morton Schmidt alongside Channing Tatum, who plays prom king uber jock Greg Jenko. Schmidt and Jenko went to the same high school but only became friends after helping each other through police training. The two get assigned to infiltrate a drug ring at a local high school as undercover cops from a special police division on 21 Jump Street. The film is self-deprecating, and very self-aware that it’s a remake, without breaking down the fourth wall. Ice Cube's role as Captain Dickson and Rob Riggle's role as meathead gym teacher Mr. Walters rounded out the comedic punches very well. 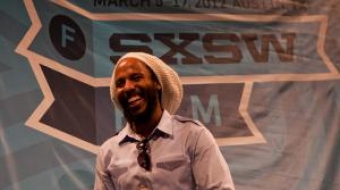 At the premiere, the cast and crew were all smiles during the Q and A—a great sign that they had a whole lot of fun making this film. 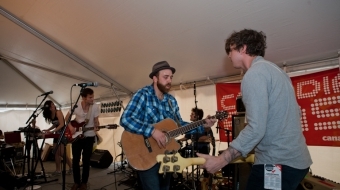 The entire evening was filled with jokes, most of which we couldn’t catch because the audience was laughing so hard. No wonder this film is doing extremely well in the box office, earning $35 million in its first weekend. We really enjoyed this film, and we can’t wait to see the sequel. 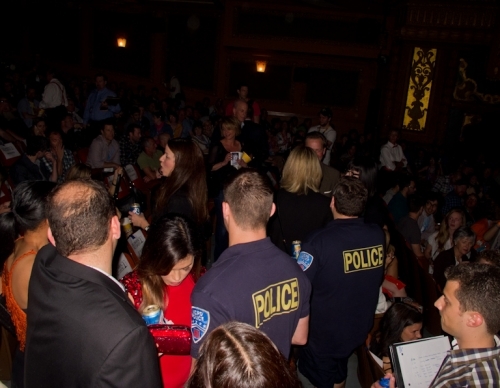 Tatum (left) and Hill (right), sporting their police costumes, attempt to exit through the crowd at the SXSW Paramount Theatre after the world premiere.